A newly-sown ryegrass pasture with about 4 million seedlings per hectare. Each seedling has a unique combination of genes. A perennial ryegrass pasture is a population of tens of thousands of plants, and literally millions of tillers, per hectare. When a new pasture is sown (e.g. 20kg seed/hectare), about 9 million seeds are planted per hectare. Because perennial ryegrass is an out-crossing species, each seed carries a slightly different combination of genes. Subsequently, the soil, weather and management conditions imposed on the pasture, will drive this genetic diversity. As a result, certain seeds/seedlings/plants will survive, while others will not. During the first year, the plants that lack the characteristics needed to survive in the pasture are eliminated, leaving the stronger ones. New pastures need nurturing to get through their first 12 months in good shape to produce again. Read more about managing new pastures here. After the first year, the original plants start to break-up into smaller plants which are just groups of connected tillers, each with some root material. From this point on, the pasture comprises about 50 million tillers per hectare, each producing the leaves which generate the pasture growth for animal feed. 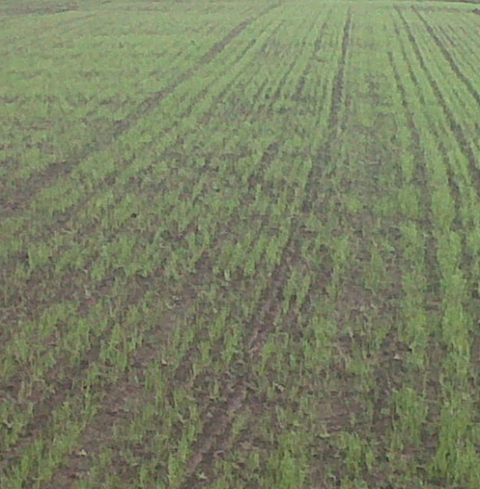 A healthy ryegrass plant with several tillers about 12 months after sowing. From this point, the objective is to maximise the survival of the approximately 50 million tillers per hectare that make up the pasture. Perennial ryegrass evolved in cooler wetter climates of north-west Europe, therefore it likes soil moisture in summer, cooler night temperatures (below 20°C) and soil fertility (especially N). Natural growth habit is to keep growing new leaves regardless of the conditions – this is a good strategy to compete with other species for light and makes it a productive feed for cows. When ryegrass is grazed it will put lots of energy into new leaf production, before conserving energy or growing a root system. This is okay if the interval between grazing is long enough for the plant to rebuild leaf area, grow tillers and catch up with root and reserve maintenance. For more information see The ryegrass plant page. If the ryegrass is grazed too early then the plant won’t store energy reserves, grow new tillers or under lots of pressure maintain its root system. For more information see the Leaf stage page. If a ryegrass pasture is exposed to multiple stresses such as this overgrazing, combined with stresses such as drought or insect attack, then ryegrass pastures can fail. The longest period an individual tiller can survive is 12 months. 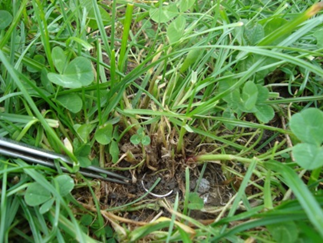 The survival of pasture then depends on new tillers. If the plant suffers a severe shortage of energy, then it may not produce new tillers. If not enough new tillers (daughter tillers) survive to replace the existing parent tillers, then the ryegrass pasture will fail.